The problem, which stems from a weak weld, may result in the vehicle's rear seat backs becoming disengaged during a crash. Nissan North America has just announced that it is recalling 11,076 model year 2012 Juke models due to rear seat defect. The affected vehicles, which were manufactured from February 3, 2012 through May 26, 2012, may have been built with a weak weld. This defective weld could cause the Juke’s rear seat back striker to partially separate in the event of a crash, according to the National Highway Traffic Safety Administration. Not surprisingly, an unsecured rear seat greatly increases the risk of injury to rear passengers. Nissan will begin notifying customers of the recall at the end of this month. Owners of affected models will receive new seat back strikers, free of charge. In the meantime, Juke drivers may contact Nissan Customer Service at 1-800-647-7261. Concerned customers may also call the NHTSA Vehicle Safety Hotline at 1-888-327-4236 or visit them online at www.safercar.gov. The NHTSA Campaign ID Number is 12V328000. A defective weld also contributed to the recall of over 28,000 Jukes in December 2011. Recall documents indicate that the weld problem may contribute to the vehicle’s turbo boost sensor separating from the air inlet tube. Such an occurrence would result in the Juke stalling, thus increasing the risk of a crash. 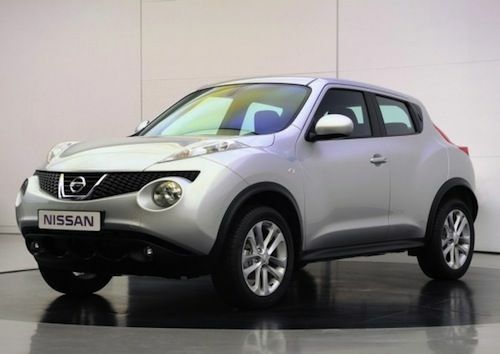 Model year 2011-2012 Juke models were involved in a separate recall back in February 2012 that involved fuel system problems. According to Nissan, certain vehicles contained improperly tightened fuel-pressure sensors, which may become dislodged due to heat and vibration. Consequently, a displaced fuel-pressure sensor may result in an oil leak and/or a fire. In addition to the Juke, the recall also involved the Infiniti M and QX models. The recall involved over 80,000 vehicles.